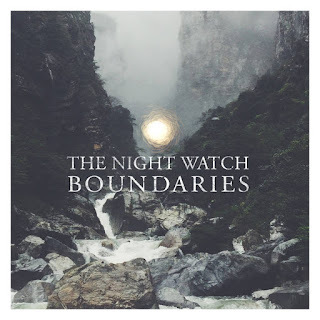 The Night Watch are a band from Ottawa, Ontario, Canada that plays an instrumental and progressive form of post rock with some folk, black, and doom metal elements and this is a review of t heir self released 2016 album "Boundaries" which will be released on July 15th. Violins and heavy guitar riffs start off the album which is a single 36 minute long track and a decent amount of melody can be heard in the riffing along with all of the music being instrumental and you can also hear some doom metal elements in the slower section of t he song while the clean parts bring in touches of jazz. Folk music influences can be heard quite a bit throughout the track along with some classical guitars and the heavy guitars also mix in a great amount of progressive rock elements and the music also gets very experimental at times and there is also a brief use of acoustic guitars and folk instruments and the faster sections use tremolo picking and blast beats which also gives the song more of a black metal feeling and the solos and leads also bring in a melodic progressive metal style. The Night Watch plays a musical style that is all instrumental being very heavily rooted in the progressive and post rock genres while also bringing in the heaviness of black and doom metal along with some jazz, classical and folk music elements to create something very original and the production sounds very professional for being a self released recording. In my opinion the Night Watch are a very great sounding instrumental and progressive mixture of post rock with some folk, black, and doom metal elements and if you are a fan of those musical genres, you should check out this band. 8 out of 10.